John Sidney Lyons, life-long resident of Bath County, passed away on January 24, 2019, after a long battle with Parkinson's related dementia. His devoted and loving wife of over 55 years, Lana Sue Reynolds Lyons, was ever vigilant and by his side during his illness and in his final hours. John Sidney, 77, was born August 23, 1941. He was retired from the Department of the Army as a civilian after 25 years; having worked as an HVAC mechanic and electrician. 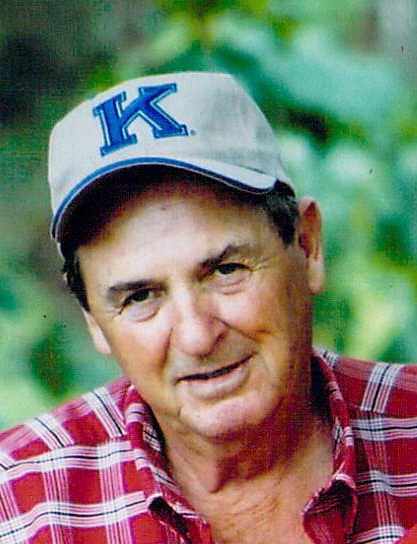 He was an avid outdoorsman, who passed on his love for hunting and especially fishing, to his sons and grandchildren. He could often be found on his beloved Cave Run Lake doing what he like to do best ....crappie fish. John Sidney was preceded in death by his parents Claude and Dorothy and brother C.W. of Marion IN. He is survived by his wife, Lana, sons Lacy (Diane) of Niceville, FL, and John(Kathleen) of Fisherville, KY; grandchildren, John-Parker and Jillian of Fisherville KY; sister Betty Barber of Owingsville KY and numerous nieces and nephews. Visitation will take place on Monday January 28 from 11:00 a.m. to 1:00 p.m. at the Richardson Funeral Home followed by the funeral service at 1:00 p.m.
Burial will take place in the Owingsville Cemetery. Reverend Johnny Baber is officiating. Pallbearers will be John Lyons II, John-Parker Lyons, Lacy Lyons, Ricky Barber, Jimmy Clyde Hawkins and Donnie Razor. Honorary Pallbearers are Mark Lyons, Tim Ray and Kevin Jamison. In lieu of flowers, donations can be made to Lewy Body Dementia Foundation, Parkinson's Foundation or the Owingsville United Methodist Church. All arrangements are entrusted to Richardson Funeral Home, Owingsville KY.